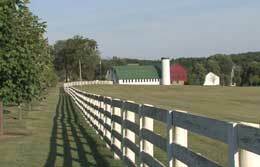 Agribusiness, Crop, Farm, Ranch Insurance in Hendersonville Tennessee - Covenant Insurance Agency, LLC. At Covenant Insurance Agency, LLC., we protect farms and ranches of all types and sizes with different coverage limits and risks depending on the type and size of farm. A farm and ranch policy will protect your farm or ranch for losses to your home or dwelling, farm property and liability risks. Representing virtually all farm & ranch insurance carriers in Tennessee, our policies offer many coverage options so you can balance how much risk you're willing to assume with the premium you're willing to pay.